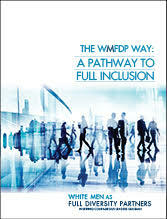 Structural change, rooted in policy and practiced in adaptive, transformational interactions between personnel comes about through an combination of “hands-on”, diversity minded leadership; empowered staff on the ground; and perhaps, most of all public demand. Am I committed to a lifetime of diversity work? It’s kind of hard to imagine the events that took place in Ferguson and Baltimore, could ever happen in a small metropolitan city like Portland, Oregon. But it can. And does. In fact, it can happen anywhere in the United States. Why?